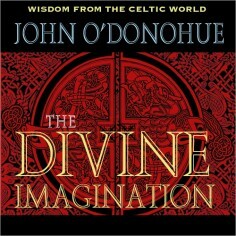 Poet and Philosopher John O'Donohue left behind a remarkable body of work on the subjects of spirituality and Celtic mysticism. 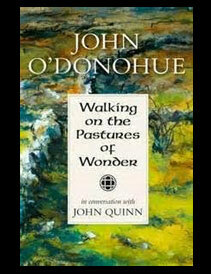 Walking on the Pastures of Wonder is a poignant and inspirational collection of radio conversations and presentations from O'Donohue's work with close friend and former RTÉ broadcaster, John Quinn. 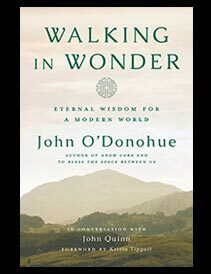 These timeless conversations explore themes such as wonder, landscape, the medieval mystic Meister Eckhart, ageing and death, in O'Donohue's inimitable lyrical style. When we stand before crucial thresholds in our lives, we have no rituals to protect, encourage and guide us as we cross over into the unknown. For such crossings, we need to find new words. What is nearest to the heart is often farthest from the word. This book reaches into that tenuous space from the known familiar world into new unmapped territory. 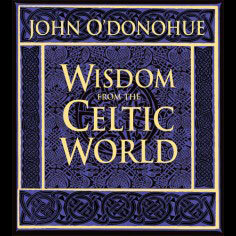 Drawing on Celtic spiritual traditions to present a compilation of poetic blessings and insights, John O'Donohue offers comfort and encouragement for the milestones and transitions of life. We begin to recognize that our relationships with one another, and even the most seemingly insignificant rituals which frame our days, are crucial to our emotional and spiritual well-being. 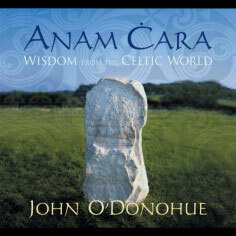 In Anam Cara (Gaelic for "soul friend"), John O'Donohue invites you into the magical and unobtrusive world of your own divinity, to a place in the soul where there is no distance between you and the eternal. 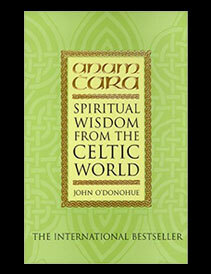 The ancient wisdom, poetry, and blessings of Celtic spirituality will awaken and grace the beauty of your heart's landscape. 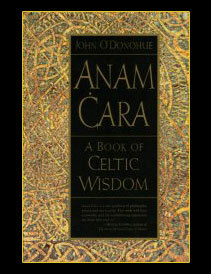 Exploring such themes as the mystery of friendship, the spirituality of the senses, the brightness within solitude, work as the poetics of growth, aging as the art of inner harvesting, and death as eternal homecoming, this book will encircle your heart with Celtic benediction. "This book is a phenomenon in itself...a book to read and reread forever, its style of varied narration responds to our times." 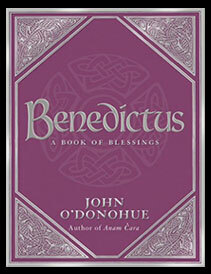 "A rare synthesis of philosophy, poetry and spirituality...a powerful and life-transforming experience for those who read it." Beauty is a gentle but urgent call to awaken. 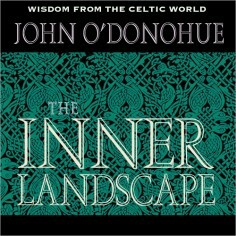 John O’Donohue opens our eyes, hearts, and minds to the wonder of our own relationship with beauty by exposing the infinity and mystery of its breadth. His words return us to the dignity of silence, profundity of stillness, power of thought and perception, and the eternal grace and generosity of beauty’s presence. 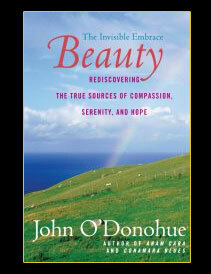 In this masterful and revelatory book, O'Donohue encourages our greater intimacy with beauty and celebrates it for what it really is: a homecoming of the human spirit. 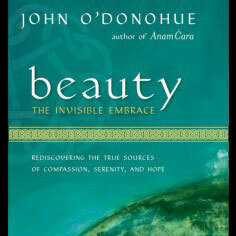 By focusing on the classical, medieval, and Celtic traditions of art, music, literature, nature and language, O'Donohue reveals how beauty's invisible embrace invites us toward new heights of passion and creativity, even in these uncertain times of global conflict and crisis. 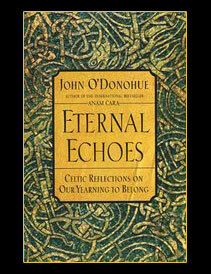 "John O'Donohue has contributed a major work... It is the work of a writer finding new space to celebrate old truths." There is a divine restlessness in the human heart, our eternal echo of longing that lives deep within us and never lets us settle for what we have or where we are. 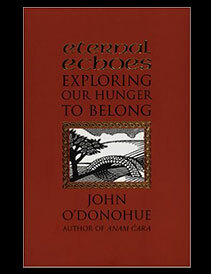 In this exquisitely crafted book, John O'Donohue explores the most basic of human desires - the desire to belong. It's a desire that constantly draws us toward new possibilities of self-discovery, friendship, and creativity. 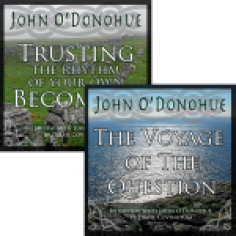 Exploring perennial themes and gaining insights from a range of ancient beliefs, O'Donohue draws inspiration from Ireland's rich spiritual heritage of Celtic thought and imagination. It is a heritage of profound, mystical wisdom that will open pathways to peace and contentment, and lead us to live with creativity, honor, and compassion the one life that has been given to us. 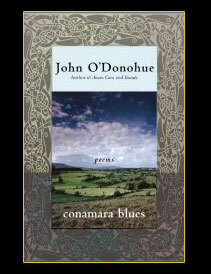 "O'Donohue has produced a treasury for readers of all faiths. A demanding, high-wire existentialist adventure that will inspire readers to re-evaluate their goals and ways of being in the world. 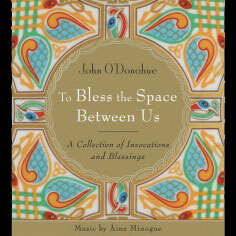 O'Donohue ends each chapter with a lyrical blessing or prayer, and his book itself is a profound, healing prayer." 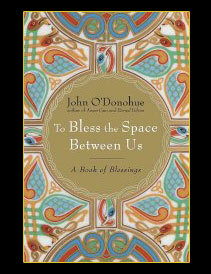 Translating the beauty and splendor of his native Conamara into a language exquisitely attuned to the wonder of everyday, John O'Donohue takes us on a moving journey through real and imagined worlds. 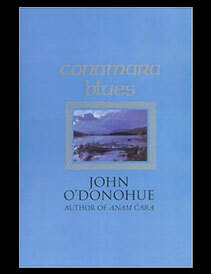 Divided into three parts - Approachings, Encounters, and Distances - Conamara Blues at once reawakens a sense of intimacy with the natural world and a feeling of wonder at the mystery of our relationship to this world. 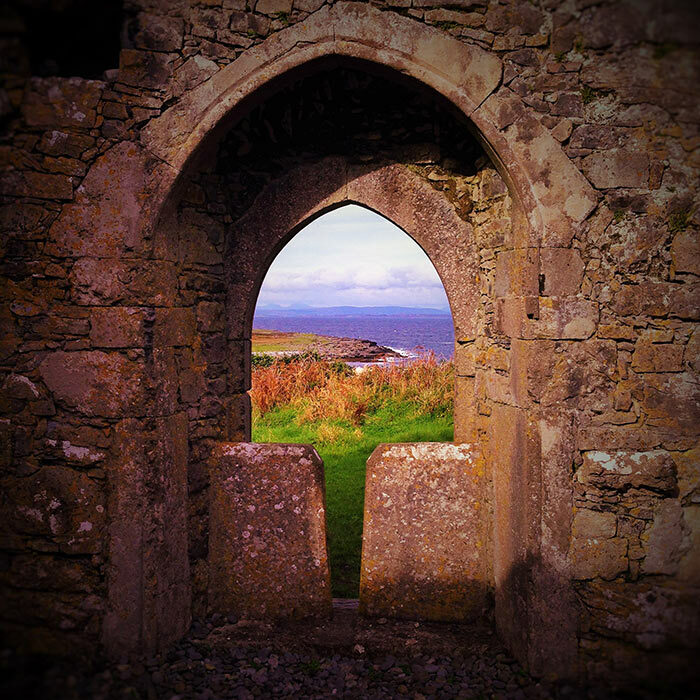 Whether exploring the silent, eternal memory of Conamara or focusing on the power of language and the vagaries of human need and passion, O'Donohue tenderly reveals the fragile vulnerability of love and friendship. 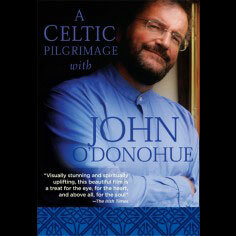 The result is a musical, transcendent, and deeply moving series of poems that exemplifies O'Donohue at his finest. 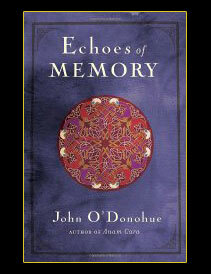 In this powerful, evocative collection, master storyteller, John O'Donohue explores themes of love and loss, beginnings and endings. 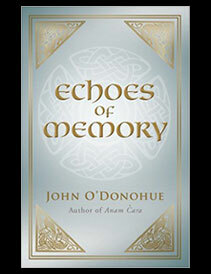 Inspired by the ancient wisdom of the Celtic tradition and the rugged, majestic landscape of his birth, the West of Ireland, here he also creates a unique vision of a place and a time, and the echo of memory that will never fade. 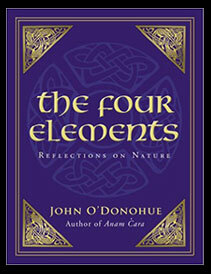 In The Four Elements, Poet and Philosopher John O'Donohue draws upon his Celtic heritage and the love of his native landscape, the West of Ireland, to weave a tapestry of beautifully evoked images of nature. 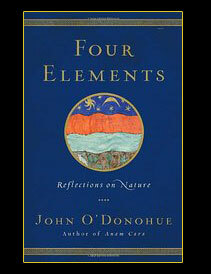 As John explores a ranges of themes relating to the way we live our lives today, he reveals how the energy and rhythm of the natural world - its innocence and creativity, its power and splendor - hold profound lessons for us all. 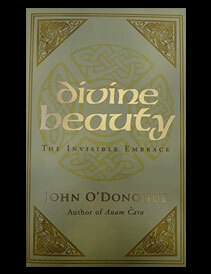 Poet and Philosopher John O'Donohue left behind a remarkable body of work on the subjects of spirituality and Celtic mysticism. 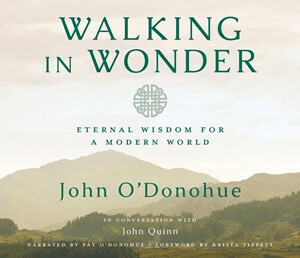 Walking in Wonder is a poignant and inspirational collection of radio conversations and presentations from O'Donohue's work with close friend and former RTÉ broadcaster, John Quinn. 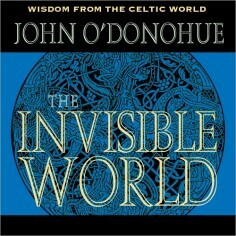 These timeless conversations explore themes such as wonder, landscape, the medieval mystic Meister Eckhart, ageing and death, in O'Donohue's inimitable lyrical style. Click here to learn more about this release! With a foreword by Krista Tippett.